Get Half Off at the Halfway Cafe! 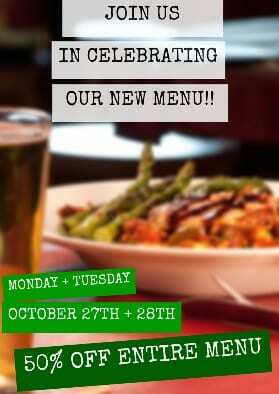 The Halfway Café is celebrating a new menu and offering 50% off the entire menu on October 27-28, 2014! The offer is valid for dine-in only and not valid with any daily specials or promotions. Tax and gratuity not included. The Halfway Café has locations in Dedham, Watertown, Marlborough, Canton, Holbrook and Maynard. To find a location near you, please head here. Have you been to the Halfway Café before?